Comprehensive Psychological & Assessment Services (CPAS) was founded by Dr. Maxine A. Ruddock, a Clinical Psychologist licensed in both Florida and New York. 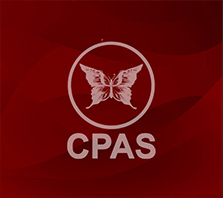 At CPAS our professionally trained Case Managers are available to coordinate, advocate for and link adults, children and families with available services needed to maintain good mental and physical health, and stability. Our belief is that every individual has truly unique needs. For that reason, we are committed to listening first and then creating customized goal plans that meet the specific needs of every person served. Connecting to Psychiatrists, Psychologists, Social Workers. Connecting to Primary Care Physicians, Neurologists, Dentists. Connecting to tutoring, mentoring, vocational training, assisting with securing employment. Linkage to agencies that offer financial assistance with rent, electricity. Connecting to emergency shelters, affortable housing. Linkage to agencies that offer assistance with this clothing. Assessing income and health insurance, including entitlements, and then advocating in the best interest of the consumers and family..